Even if Bermuda is an idyllic destination and home to some of the best beaches of soft pink sand, you still need some shoes to walk in most places! You can of course opt for the light and practical flip-flop if all you do is going from the beach to the poolside by bus or taxi. But if you decide to walk a bit to visit the many beautiful places of the island, or if you want to eat something else than a beach barbecue every day and night, proper shoes are definitely a must-have! For The Bermudian which organises every year the Best of Bermuda Awards, the best shoe shop in Bermuda is called Trends. This little shop is located on The Walkway, on Reid Street, in the area off Front Street where there are some narrow lanes full of splendid boutiques and small restaurants. Being fashionable while wearing Bermuda shorts can be a bit tricky, especially when it comes to shoes. These are the fundamentals of the island elegant-casual look, but it is not everyone that can achieve it perfectly. Of course, not everyone cares about looking its best, especially on vacations when all they want is to relax and forget about the suit they are forced to wear every day in the office. Well, if that’s what they want, it’s fine for us, but it doesn’t mean we all have to follow them. Elegant-casual can quickly turn sour and go down the road of tasteless or even worse, ending up on a clash of colours and styles. In fact, the elegant-casual style requires a bit of work and when achieved is a delight for those who wear it and those who look at them. Given that people-watching is close from being an official local pastime, people will acknowledge a good outfit, especially from holidaymakers. So then, shoes are an important part of the elegant-casual outfit and there is no better place to go than Trends, the best shoe shop in Bermuda to choose them. The service is second to none here and the staff will be happy to help you choose the best shoes for the style you want to achieve. The shop is also reputed for having the most up-to-date foot fashions and stocks recognisable American and European shoe brands. You will find in Trends the last creations of Aerosoles, Dr Scholls, Joan & David, or Enzo Angiolini. Of course, shoes are an accessory and as such, there are different shoes for different styles. 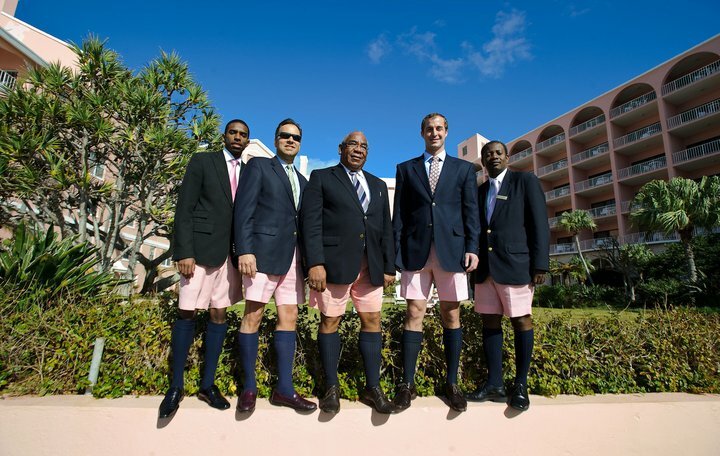 Depending on the occasion, you can give different styles to your Bermuda-shorts based outfit by changing shoes. Try sneakers or canvas shoes for a casual style, at the beach, by the pool or for a light lunch at the terrace of a café. Change to a pair of flats or loafers and you will immediately get a bit more dressy. Once in a while, wedges can give your wardrobe a little persona, especially if you have long legs. You can push towards the elegant side of your outfit for the evening by putting on a pair of pump or even some heels. In Trends, you will be able to find all the shoes you need to make your Bermuda outfit always as elegant than casual whatever the situation is. While you’re at it, have a look at the great handbags they have, like colourful Cole Haan and Dooney & Burke. Trends definitely is the best shoe shop in Bermuda! Trends in Bermuda – Part of Elbow Beach Cycles – ‘Things to do in Bermuda’ series!